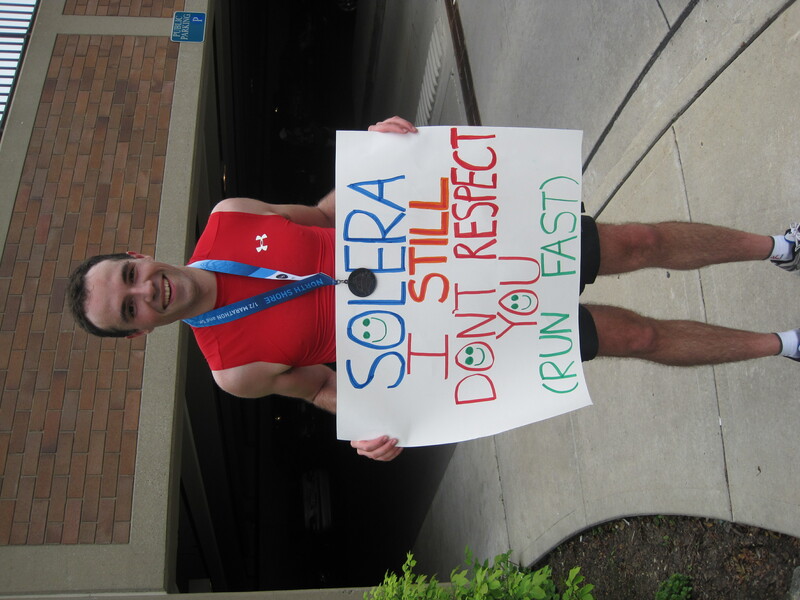 Last year, I ran the inaugural 13.1 Marathon in the south side of Chicago as my second half marathon. The first race at any distance is a fun venture into new territory, an uncertain and even anxious experiment that can validate or void your training routine. But the second one is equally special because it’s your first chance to improve your time. This year, the 13.1 fell on the same date as the North Shore Half Marathon in Highland Park, a suburb of Chicago about thirty miles north of the city. Though I was very happy with the 13.1 Marathon, I decided to try a different, quieter race. My original plan involved friends of the family who live in Glencoe. I was planning on staying at their house and taking an early train Sunday morning to the race. However, those plans fell through, allowing friend and fellow ’06 wildcat Ryan “Pauly A” Pollyea to offer his family place in Buffalo Grove as a base of operations. I don’t recall exactly when our paths first crossed at Northwestern, but a detailed history of our friends shows a vast overlap. It wasn’t until our senior year when we both worked as managers at Norris University Center that our social circles began to more closely intertwine. However it wasn’t until the fall of 2006, when we managed to convince a student shuttle bus to drive us from Ryan Field to Joy Yee’s that we started to hang out more often. Between ski trips, Cubs games, NU away games, burger joints and Tony’s Burrito Mex, it’s been good times. So it was with no hesitation that I accepted his offer to crash at his family’s place for the night. After yakking it up about everything from old family pictures to the heavy topic of senescence, we watched half of “Young Frankenstein” before passing out. The race began promptly at 7 with a slight descent down St. Johns Avenue in the center of town. It was my first taste of what the rest of the course was to be like: sloped, green and serene. 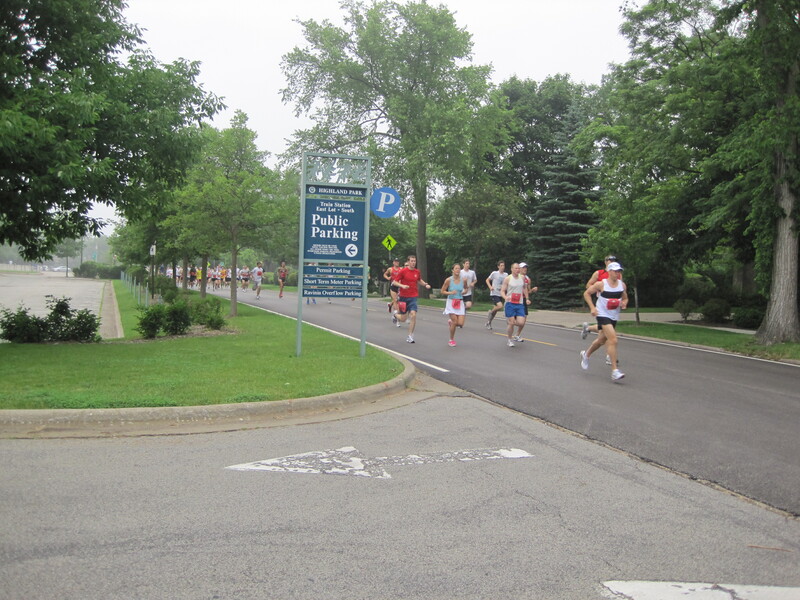 The course runs three miles down on St. Johns, past Ravinia to the north border of the Lake Shore Country Club, where runners turn and start heading back north on (flashback) Sheridan Road. Up until mile 7, the entire course had been a predictable pattern of ups and downs, seldom allowing for a perfectly flat stretch. However, right before mile 7 is the real backbreaker. After turning right onto Park Avenue, runners find themselves widening their stride as a steep downhill takes them to Park Avenue Park on the shores of Lake Michigan. But what goes down, must come immediately back up. Though not a long hill, I definitely slogged upward and saw my overall pace bleed away two seconds. The course continues with its rolling hills from there, making a right onto Patten Road into what looked like an in-progress subdivision. Up until this point, the course had been covered with a dense tree canopy, giving this city-suburb race a bucolic character. It was therefore a bit disappointing to run through a stale, almost de-forested neighborhood right when you need the energy. Fortunately, there was a big payoff in the form of Fort Sheridan, a military barracks and water tower built at the turn of the century that was the tallest structure in Chicagoland at the time. After a loop around the tower greens, the course runs right under the water tower before re-entering the bleak beigeness of Patten Road. Despite the hills, I had been running confidently, averaging a 7:44 pace by mile 10 (a PR at that distance). However, after the loop at Fort Sheridan, the hills and humidity were taking their toll and I began to lose steam. For the next three miles, my pace crept up slowly and the possibility of a PR receded. By mile 13, I was two seconds away from my Boston time, so burst down St. Johns Avenue in the final stretch to end the race at 1:41:01 – my second fastest time, but only by twelve seconds. Overall, I was very happy with my experience in Highland Park. Yes, the hills were a bit challenging, the humidity drained me and the stretch on Patten Road was very uninspiring, but the majority of the course was lush and peaceful … almost too peaceful. In fact, once you left the city there were very few crowds to support the runners. This isn’t a big deal for me, but crowd support tends to make or break races for certain types of runners and this one was definitely low on the cheering. After any race of significant distance, it’s important that your muscles recover appropriately with a protein fix to repair any tissue damage. 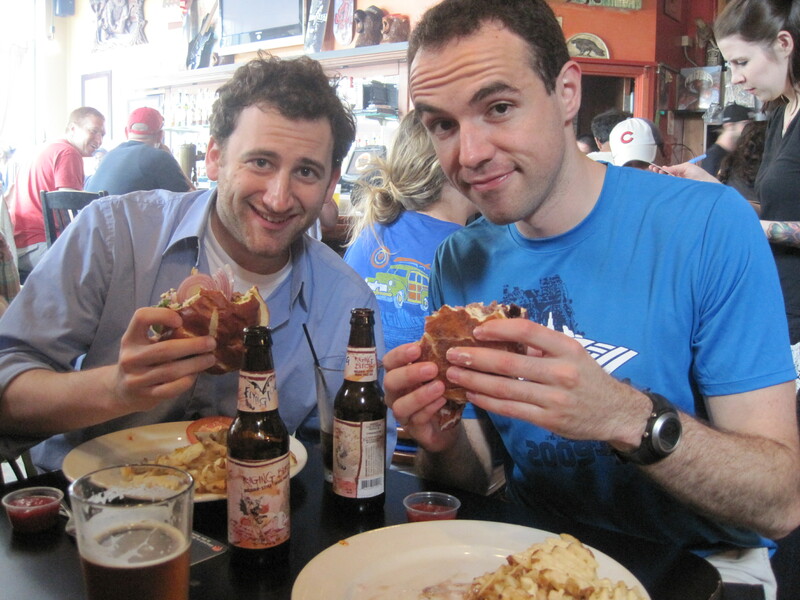 What better way to do this than by visiting what is inarguably Chicago’s best burger joint, Kuma’s Corner. Thanks to this epic slab of beef, my legs were one step closer to the 2nd running of the Chicago Rock ‘n Roll Half Marathon in August. Onwards!